NewJerseyHauntedHouses.com recently sat down with Wayne of Scary Rotten Farms, to discuss what's new at Scary Rotten Farms for the 2018 Halloween Season! Located in Brick, this not-for-profit haunted attraction enjoys giving locals the terror they've had an appetite for all year long. Read below to find out what you're in for this year! What's new at Scary Rotten Farms for 2018? Do you have any new rides, attractions, or special features that Haunt Seekers should know about? Scary Rotten Farms certainly evolves every year. While the 'Chaotic Carnival' theme remains the same, the haunt walk through has been completely redesigned for 2018 with a new path and terrifying scares. 2018 brings with it an entirely new haunt – Twisted Tales. Remembering your favorite childhood fairy tales brought to life... Wander through lands of long ago... To a time of innocence... BUT something doesn’t seem right? A nefarious EVIL has invaded this land and TWISTED these tales into a horrifying abyss. Your childhood memories will be your darkest nightmares as you walk through this living HELL! In addition to our new haunt, ‘Blackened: The Plague’ has been revamped for the 2018 season. Visitors will find themselves lost in ‘Ravenshire’, a town that has been plagued with a horrible deadly sickness. With the positive buzz around ‘Blackened: The Plague’ from the 2017 season, we decided to intensify the fear this year with new and revamped sets and costumes. Lastly, new in 2018 is the ability to purchase tickets online on our website. This is the first year we are offering this service. This new service will allow haunt seekers to skip our ticket booth window and head straight to the haunt queue lines. From here, the ticket attendant will scan your virtual ticket with a ticketing app and grant you access to our haunts. 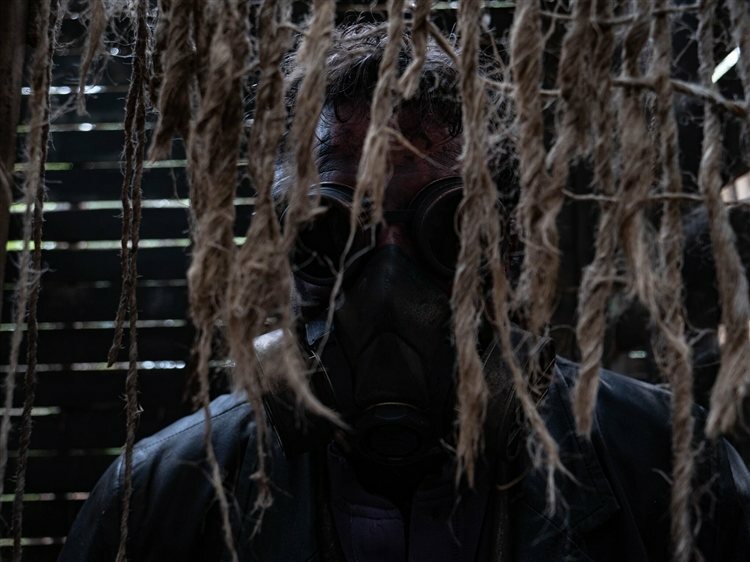 Altogether, Scary Rotten Farms has added more scares and new characters to heighten your fear experience for 2018. Just like every year, if we could have good weather and a great turnout that would be great! All 3 haunts at Scary Rotten Farms are outdoors, so our operating schedule is weather dependent. 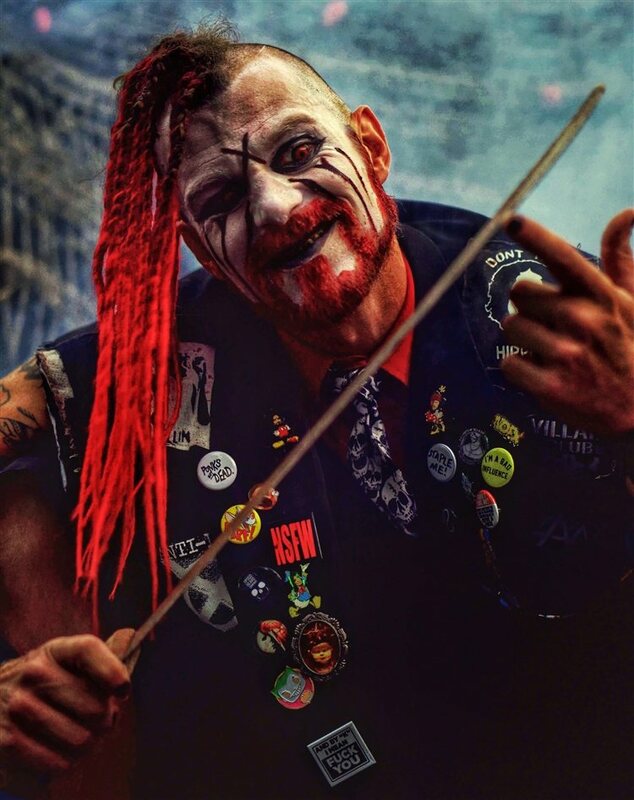 Sinister Sneed’s Chaotic Carnival of Chaos will wind you through a newly designed freak show of clown infested feeding grounds, while Blackened: The Plague traps you deep into the dark and sickening town of ‘Ravenshire’. Twisted Tales will immerse you into the dark world of your favorite childhood fairy tales. 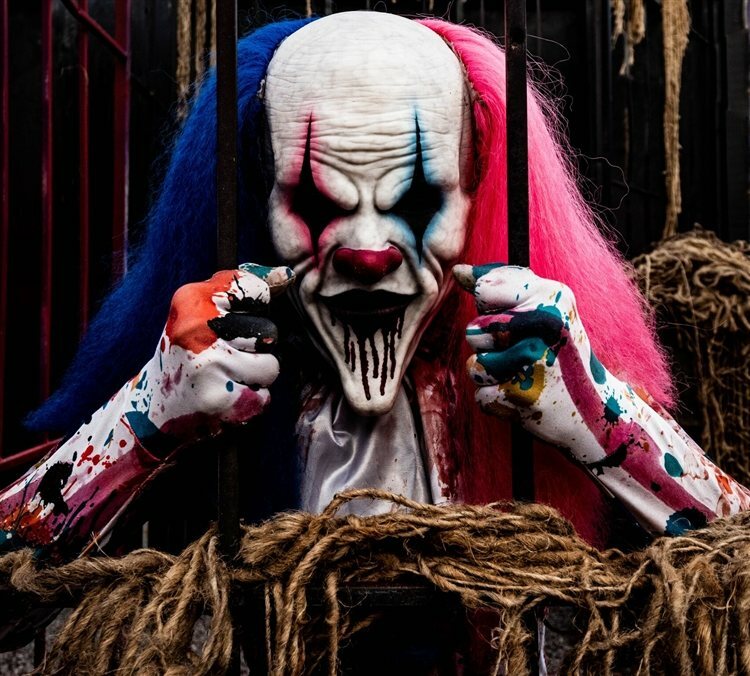 What's most exciting for me about the 2018 Haunt Season is our new level of fear with all new scare actors and brand-new costumes. Additionally, new sets have been built specifically for all 3 haunts for the 2018 season. 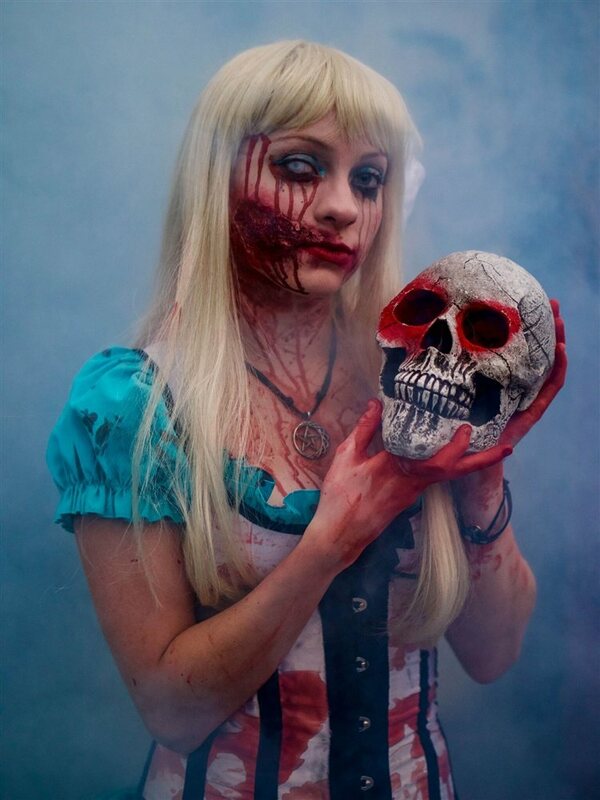 The biggest thing that differentiates Scary Rotten Farms from other local haunts in New Jersey is our scare actors. We feature more scare actors than animations and props, which gives the haunt seeker an intimate experience as we can adapt to their deepest fears and feed off their emotions to heighten the experience. Also setting us aside from other haunts is the bond that our actors create with one another all season long. Our veteran, seasoned actors take our more junior actors under their wing to help mold and shape them into the scariest scare actors they can be. In turn, deep bonds are created that remain year over year. This is the 8th haunted season for Scary Rotten Farms. We originally started out as a small Halloween display in the back corner of our market. As per customer request, we made the display bigger, eventually moving it to one of our on-site greenhouses for kids to enjoy. Quickly, the greenhouse space became too small, and the Halloween display morphed into 2 terrifying haunts, which now have become 3 terrifying haunts. One of my favorite experiences since opening Scary Rotten Farms has been watching the haunts grow and evolve each year. It's still hard to believe we went from a small Halloween display, to now 3 haunted attractions. Another experience that pulls at my heartstrings is the haunt family that has been born since we began just 8 years ago. Each year, new members are added to our haunt family, and I have truly enjoyed working with and getting to know every one of them. More than the haunts themselves and the family we have become, I've most of all enjoyed helping the 'Ocean of Love' kids. Over the past 8 years, we have been fortunate enough to have the ability to help many families in need, as a portion of our ticket sales are donated to this wonderful organization. Knowing we are part of making a difference in children's lives has been the greatest experience of all. 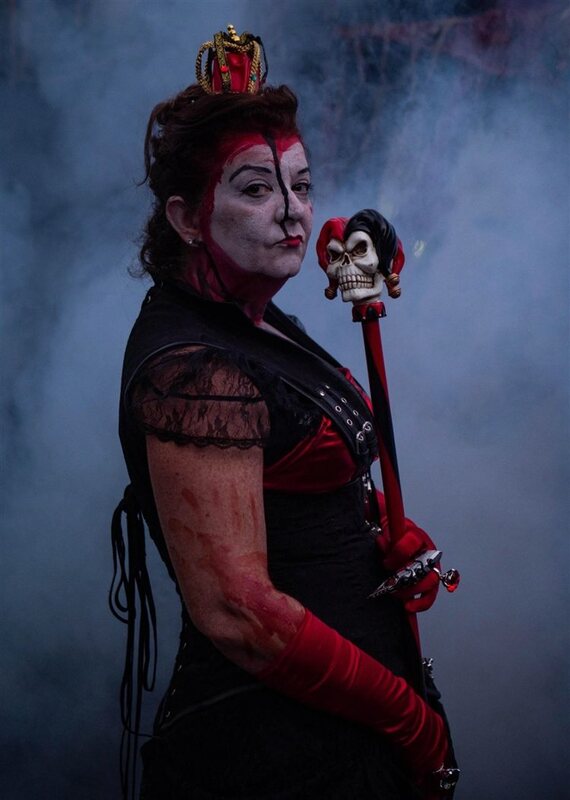 Each haunt experience at Scary Rotten Farms is unique. Since we feature more scare actors than animations and props, we're able to deliver the scariest possible experience for each haunt goer. Typically, each attraction lasts up to 20 minutes. Depending upon the haunters potential involvement with the actor, the experience can last more than 20 minutes. Since we like to feed off the haunters fears and emotions, we tend to prolong the experience by dragging out the terrifying experience. This year with our 3rd haunt, your fear experience will be even longer. To rate how scary our attractions are would be such a cliché. I prefer to let our customers tell you for themselves. Quite a few customers have come into our market and told us they won’t come through our haunts because they have heard it’s too scary. We personally hand deliver coupons to local businesses, and we have been told on numerous occasions they would be happy to hand out coupons, but they would never use one themselves as they are too terrified to walk through our haunts. Many of our Facebook and other online reviews have boasted our intense scare factor. Come and see for yourself! We keep a tally of those who chicken out on a chalkboard at the entrance to our haunt queue line. Since Scary Rotten Farms has evolved into 3 haunts, strange occurrences have been known to happen while setting up the haunts each year. Each year when setting up the haunt, I find many props are misplaced after setting them in place. They always turn up in other places in our haunts. It's as if the soul of Jacob Sneed is rearranging the props to suit his liking. I usually leave the props as they, as I trust in Jacob's judgement. After all, it is his Chaotic Carnival of Chaos. My children inspired me do open the haunted attraction. While I have always had a fascination with haunted attractions, it was my kids who inspired me to create the Halloween display in the corner of my store. Halloween is my daughter's favorite, and each year it gives me great pleasure to be able to offer my kids the best haunt season. Lastly, we offer a 'Creep the Line Pass' mega combination ticket for $50, which allows you to skip the lines VIP style. More information regarding ticket pricing can be found by visiting our site here. Scary Rotten Farms was fan voted 2018 #5 must see haunt in NJ! Remembering your favorite childhood fairy tales brought to life... Wander through lands of long ago... To a time of innocence... BUT something doesn’t seem right? A nefarious EVIL has invaded this land and TWISTED these tales into a horrifying abyss. Your childhood memories will be your darkest nightmares as you walk through this living HELL!